Our San Diego North store is in the heart of San Diego's design district. We are surrounded by La Jolla, Rancho Santa Fe, Poway, Escondido, Del mar, Encinitas, Carlsbad, Oceanside, San Marcos, Vista and Rancho Bernardo. Located on Miramar Rd. between the 15 and 805 at 7550 Miramar Rd, San Diego CA 92126. 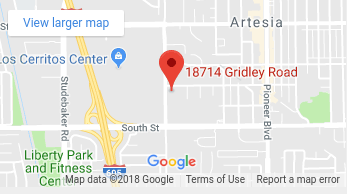 We are conveniently located off the 805 and 15. If you are heading North on the 805, Exit Miramar Rd. La Jolla VIllage Dr. at the signal at off ramp make a right onto Mirmar Rd. we will be 3 miles down on the left hand side. If heading South on the 805 Exit Miramar Rd. La Jolla VIllage Dr. at the signal at the off ramp make a left onto Miramar Rd. we will be 3 miles down on the left hand side. If heading North on the 15 Miramar Rd. at the signal at the off ramp make a left onto Miramar Rd. we will be 2 miles down on your right hand side.